This update of our popular C.U.B. 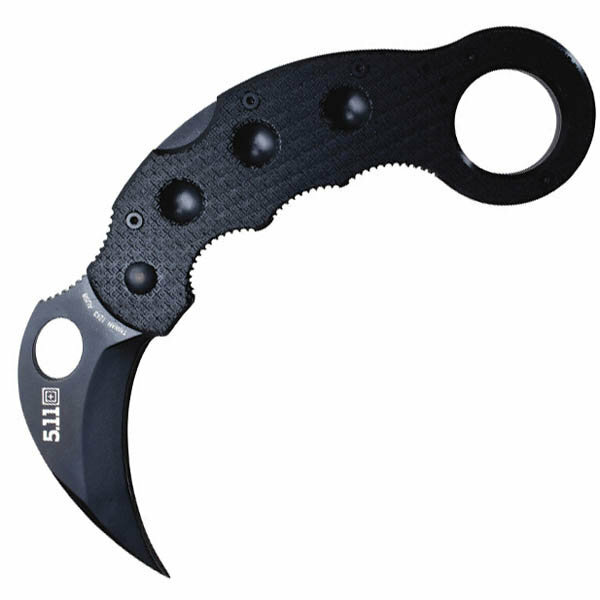 Master (Combat Utility Blade), the Karambit Folder is built with AUS8 blade steel, 5.11's TripleHeight texturing on FRN handles for improved retention and control, and a charcoal oxide blade coating for a subdued appearance. 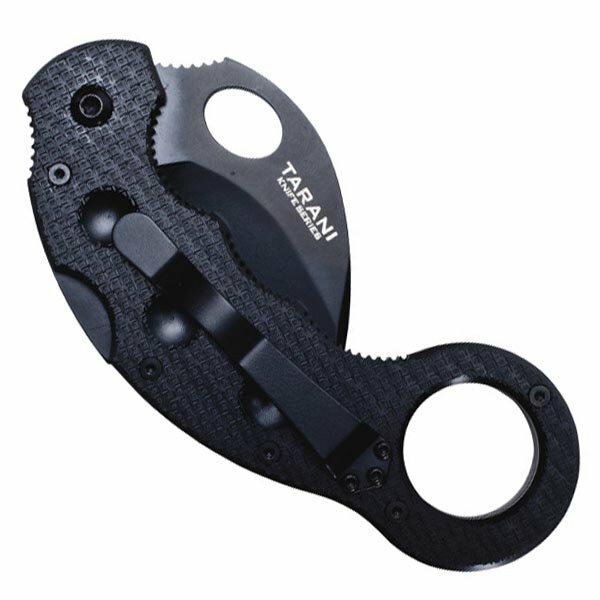 Designed with world renowned blade expert and instructor Steve Tarani, the Karambit Folder features a 1/8-inch thick 2.87-inch long blade with lockback safety mechanism and a reversible spring steel pocket clip for multiple carry options.